Shellfish-free Glucosamine helps maintain cartilage health. 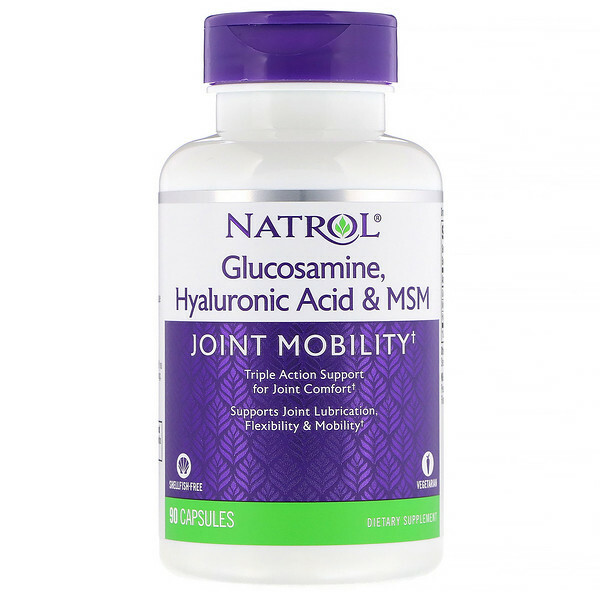 Hyaluronic Acid promotes lubrication and cushioning in the joints. 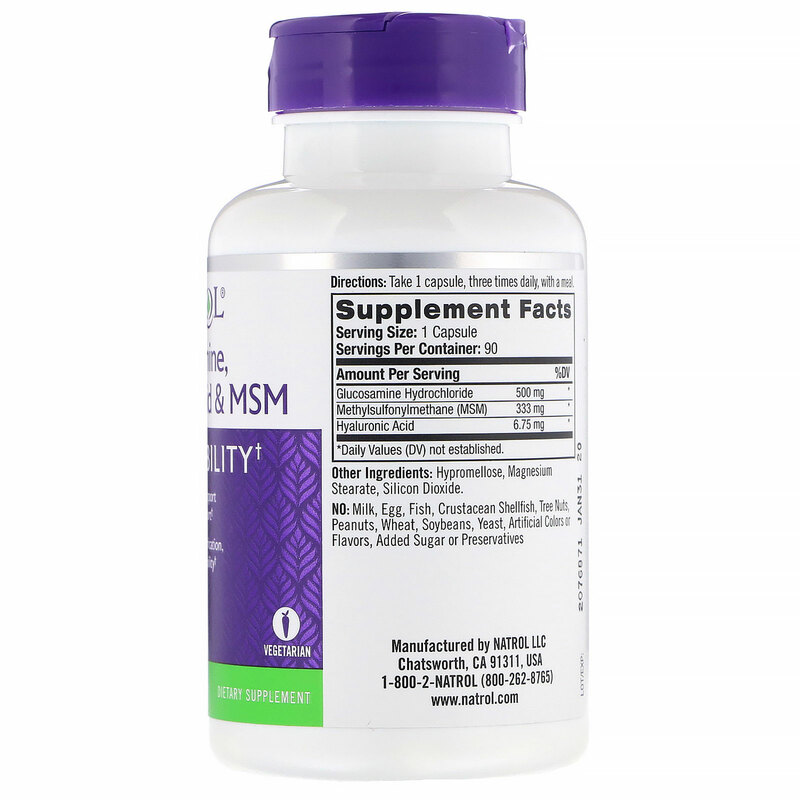 MSM helps maintain the elasticity of joint tissue and supports joint strength. Consult your healthcare professional prior to use if you have or suspect a medical condition, or are taking prescription drugs or are pregnant or lactating.